Welcome to Charlie’s Cafe Bar. We are a well established business in the South Lakes town of Kendal offering good quality, locally sourced food to our customers. We’re fully licensed and offer free WiFi internet access. Charlies is located in a historic building, where once Bonnie Prince Charlie slept, hence the name. 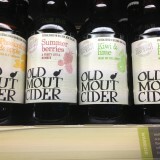 We stock Old Mout Cider, unique flavour combinations that take only the best from nature. Peters freshly baked lemon meringue pie! Feeling the heat? 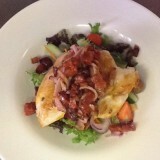 Call in for a chicken and bacon salad and a cheeky glass of wine to enjoy sitting in our garden! 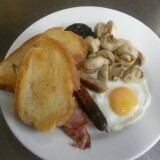 Breakfasts served all day everyday!! Choose from a 4 or 5 item breakfast or go bigger if you have the appetite! !